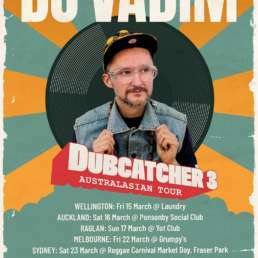 The much anticipated and well-attended United Nations of Dub took place from 28 – 30 March. This 3-day indoor sound system festival that is only in its second edition is already a juggernaut of an event. Set in a fairly quaint northern Welsh town called Prestatyn, in a Pontins self-catering holiday resort, the location is not really like reggae festival spots I am used to! However with its 3 indoor sound system arenas, heated swimming pool, film screenings, and pub all in one close area, it gives a unique community feel to it and served the purpose perfectly. The main arena which features different sound systems each night is a large hi-roofed room with a small grandstand. This provides an excellent viewpoint for the big dancefloor below which is enclosed by huge custom built rigs. 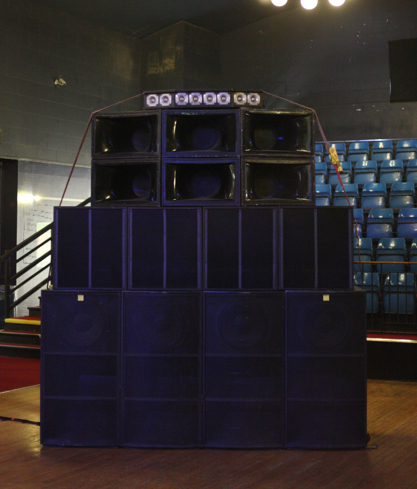 You then have the Mungo’s arena where several different sounds play daily on their 3-stack setup. Upstairs you can find a selectah’s arena powered by BTSS and Wonkey Hi-Fi. And finally for a bit of aqua fun, there is a heated indoor swimming pool with many DJ’s and sounds passing through. Entertainment-wise, U.N.O.D can never, never short change you. From the time I arrived on Friday afternoon, there was a buzz in the nippy spring air. The Selectah’s Arena kicked off first whilst still daylight. 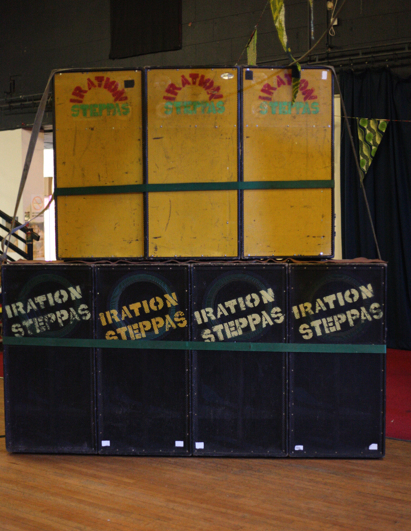 Downstairs, Jah Shaka and his crew were setting up his sound in the main sound system arena under the watchful eye of outernational sound system owners. Alpha Steppa kicked off proceedings in the Mungo’s Arena in a hugely energetic fashion. With his family members, Alpha and Omega, dancing around the stage with him, several mic-men also passed through his set. 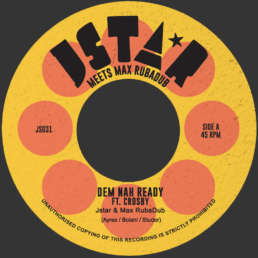 Martin Campbell followed next in a rootsman style, then Addis Pablo and Alpha and Omega. 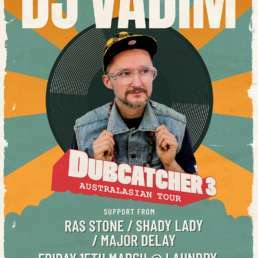 Dubkasm and Solo Banton ran the last slot of the night into the wee small hours. 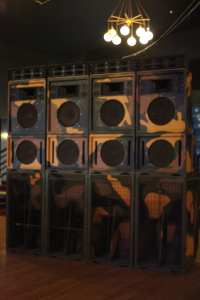 Jah Shaka’s 7-hour set on his sound proved to be a crowd favourite. It was long and expectantly rammed so I enjoyed being able to slip in and out of the session to check other sounds out. Jah Shaka is an old school legend, a slow, methodical selectah. My question after night one was who is going to continue this potentially dying tradition and way of running a dance. However after seeing Ashanti Selah and Addis Pablo later on the festival, that question was taken away. Waking on day 2 to beautiful, peaceful Welsh weather, we took a walk on the nearby beach, followed by two Q&A sessions hosted by DJ Stryda and Steve Vibronics in the on-site pub. The first was a highly interesting talk with Mungo’s Hi-Fi, which saw producers Craig and Tom talk about making and playing music in the far northern reaches of the UK, and specifically about Mungo’s production techniques. Later on Dubkasm’s Stryda talked to Addis Pablo, the son of Augustus Pablo (who Stryda had interviewed years earlier). This was a thoroughly interesting talk about music production, modern Jamaican roots music and religion. Just after this I saw Ashanti Selah, the son of Aba Shanti, in the Selectah’s Arena, but missed the Polish producer I would have liked to have seen, Violin Bwoy. On the Mungo’s Stage I caught a plethora of talented UK producers, one after the other. This started with the organiser of the festival, I-Mitri and his band doing a live set, Adam Prescott who runs Reggae Roast, Nucleus Roots, Jah Revelation Muzik with MC Brother Culture, and Murrayman. I then had a break and later saw Vibronics and Brain Damage with a few MCs, which was great. 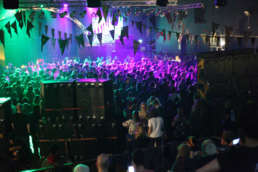 Inside, the dub arenas looked quite different from the first night, with 4 sound systems all enclosing the dancefloor. You had Aba Shanti-I, Blackboard Jungle, Iration Steppas, and Jah Tubbys sound system. Needless to say this night was a full, pumping experience. The sounds played in a format which over 8 hours in total saw them play for roughly 45-minutes each. They then moved into a 2 tunes for 2 tunes format. Day 3 and by now the entire vibe of the place had a family feel to it. Lots of new friends had been made, there were several record sellers, merchandise stalls, lots of groups chatting away for hours seemingly content with the environment that had been created. One of the surprises would of been when two small, solar and battery powered sounds popped up just outside the smokers area, playing tune-for-tune all afternoon in a hugely energetic and entertaining way. This proved very popular. Salomon Heritage kicked off proceedings in the final day on the Mungo’s stage, one of my favorite new labels. Roots Arna played lots of forthcoming tunes, and Ras Tweed was there to bless the mic which he does with consummate ease. Kibir La Amlak played a great live set, before El Fata backed by Riddim Tuffa took over, and progressed into 80s digital style. The night finished off with a 4-hour Mungo’s showcase, featuring mainly Charlie P, but also a handful of other MC’s like Murrayman and Cian Finn. 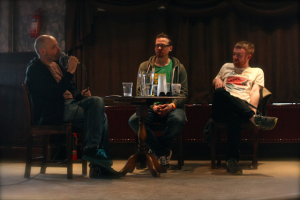 I thought Cian Finn from Ireland was one of the hardest working people at the festival – from the first night he chatted on several sets, with Alpha Steppa, Blackboard Jungle, Mungo’s, Alpha and Omega, and probably more that I didn’t catch. Four very large sounds turned up in the main arena for the final part of the festival, and it was much bigger than night two. 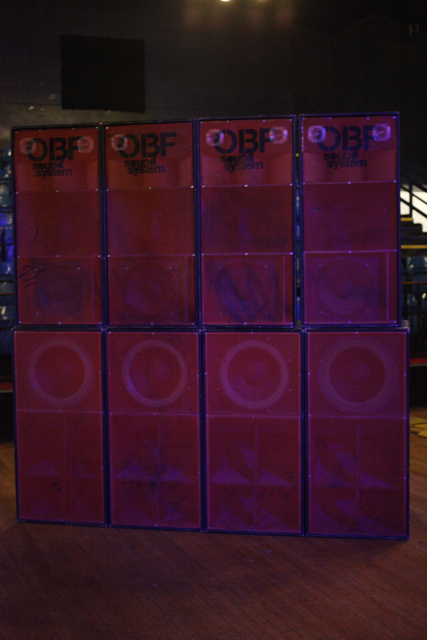 King Earthquake, Maasai Warrior, WSP and OBF all made the dancefloor look like a walled enclosure. The night kicked off around 7pm and ran until 3am. By 9pm it felt like the entire room was one big bass bin, and from outside we thought we could hear the roof getting progressively looser. It was a spectacle in itself, people from all over the world moving in an arena as one. The festival had seemingly achieved what its title promotes. Talking with one of the organisers, they mentioned that it looked like numbers had grown slightly from last year, and with a very strong representation from South America. He rattled off countries like Chile, Peru, Argentina, America, and mentioned big crews from Mexico and Brazil this year. Some attendees had reached from Asia and Africa, of course there was a huge European representation. I also knew there were four of us from New Zealand. I would recommend this festival for all of the sound system community. The music, people, and atmosphere were lovely, and having already announced its third installment in 2015, there is plenty of time to plan for the trip here next March.